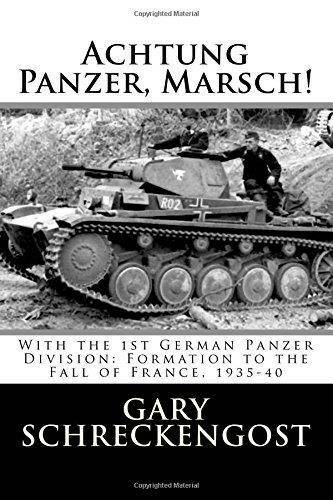 For most of World War II, 1939-45, Germany’s armored forces or Panzerwaffe ruled the battlefields of Europe through superior tactics, training, and will power. Their primary function was to break through enemy lines along a narrow front “hitting with fist and not feeling with the fingers,” encircle the enemy, cutting him off, and setting up their subsequent annihilation by regular infantry and artillery units. Speed and shock were the Panzerwaffe’s friends. In 1935, the first four Panzer divisions were formed and developed under the watchful eyes of officers such as Heinz Guderian, Ewald von Kleist, Erich Höpner, and Hermann Hoth.